September 1989 Rudston, East Yorkshire, I saw my first Lesser Grey Shrike, yesterday near Leiston, Suffolk, I see my second. Having done a few jobs around the house/allotment in the morning, by lunchtime I was beginning to get restless. 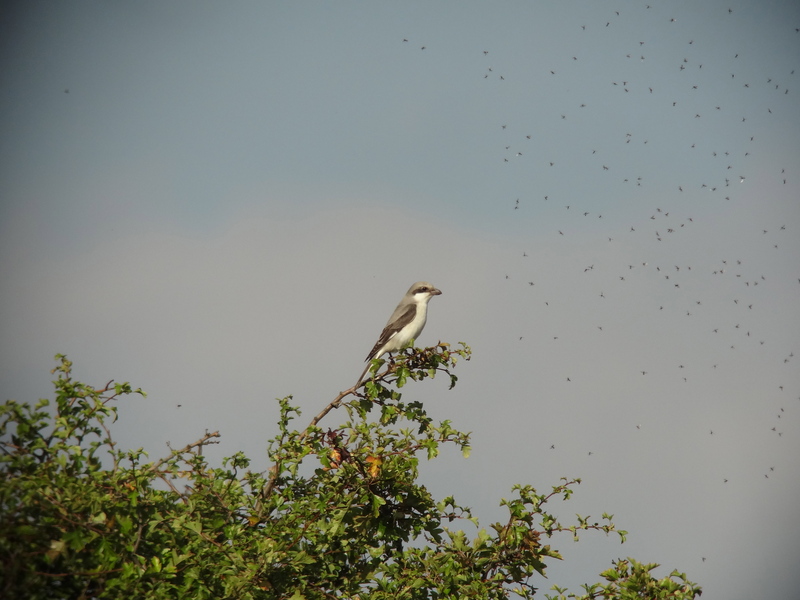 The weather hasn’t been great for ‘small bird’ migration so far this September but a few things have started to arrive here in East Anglia, like the Lesser Grey Shrike which turned up last Sunday. With nothing better (more interesting ) to do I decide to have a go for it. Although it’s no great distance from Cromer to Leiston, it’s a slow drive across Norwich and through the lanes of Suffolk, so it was half past three when I got to the site. The first guy I see coming the other way is looking grumpy – not a good sign! Apparently the bird was seen a couple of hours ago but ‘it flew off high over the woods’ and nothing since. 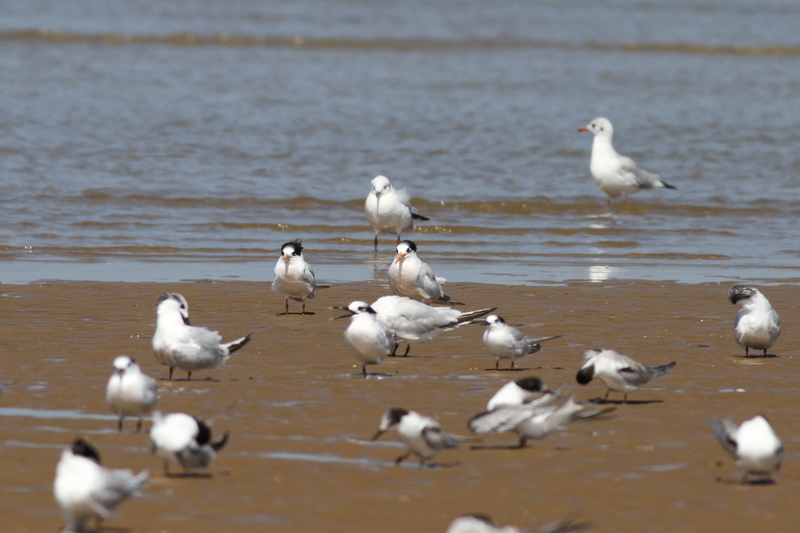 Is it just me or is there a rising trend of premature pessimism amongst birders these days – how often do you see on BirdGuides a ‘sad face’ report and then, ten minutes later, such and such a bird is ‘back in is usual spot and showing well‘! Is it that we invest so much emotional energy in seeing rare/scarce birds that we have to psychologically brace ourselves against disappointment or is it just that those who witness these supposedly ‘last sightings’ want to rub it in the faces of the poor unfortunates who arrive too late? Either way my spirits drop a little but I carry on looking. 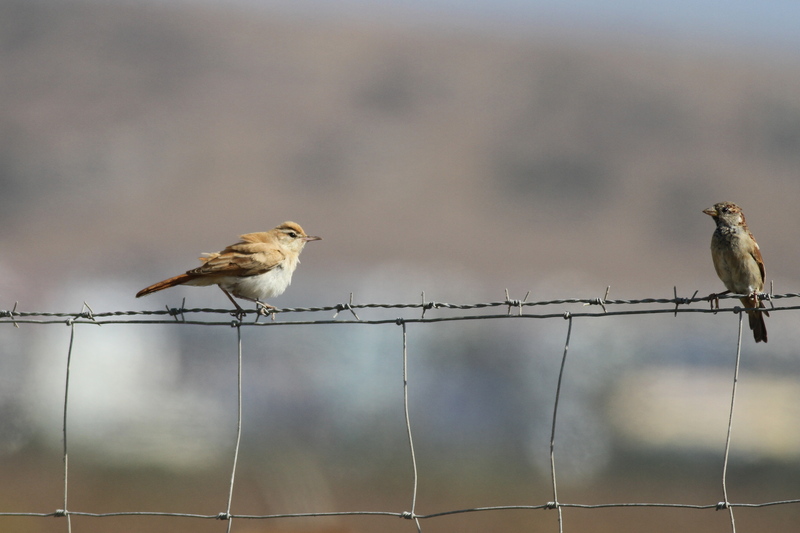 Nothing for ten minutes, just a lot of empty fence posts, where this rare bird from the south and east of Europe once was – images of the numerous photos of the bird, posted on various websites, beginning to pop into my brain to tease me. 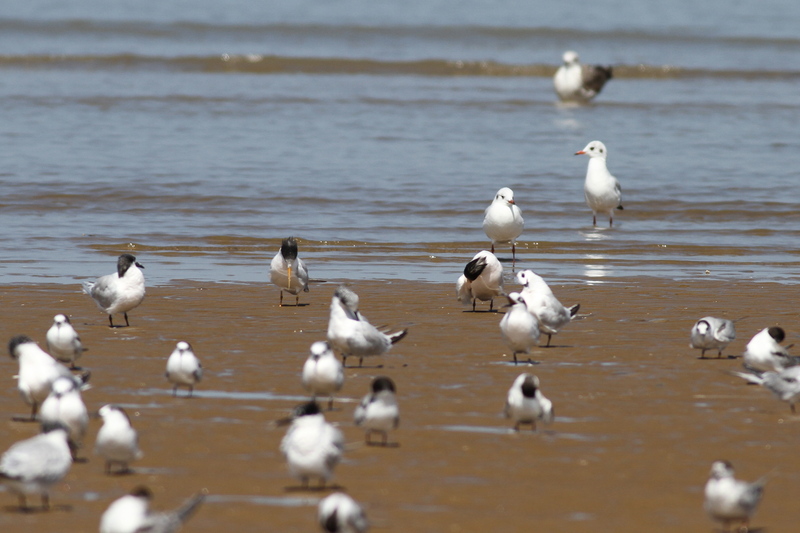 A guy in his forties walks by, cheerfully enquiring if we’ve seen the bird, and he tells us about an Arctic Skua on the nearby beach at Sizewell. 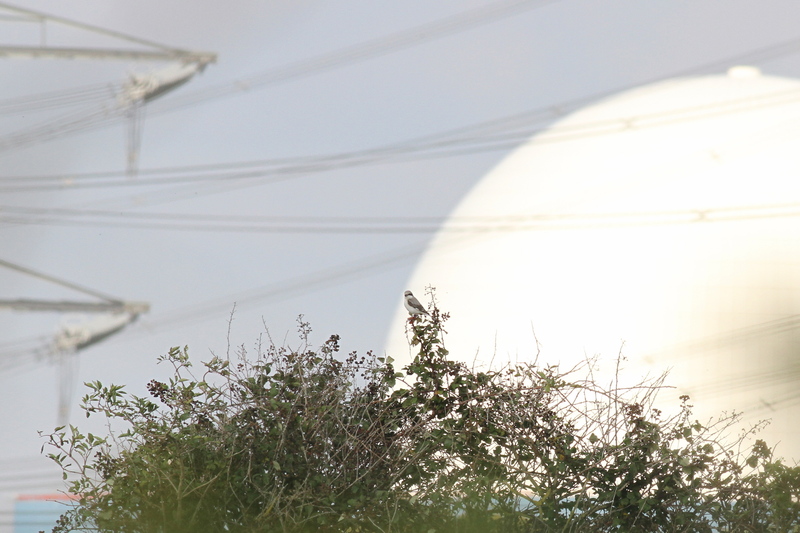 Then the shout goes up – the bird is back, a little further up the track. 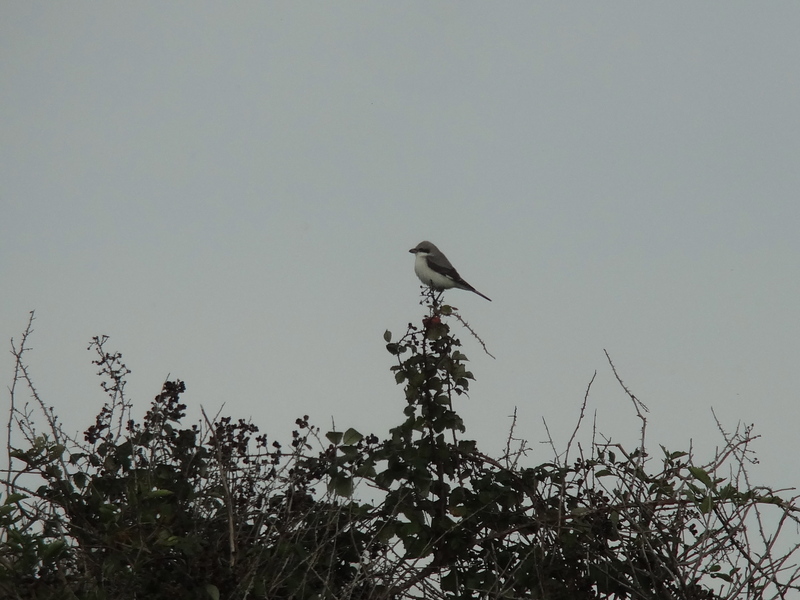 We hurry to the spot and there is the shrike, sat atop a hawthorn bush, catching insects…pheew! 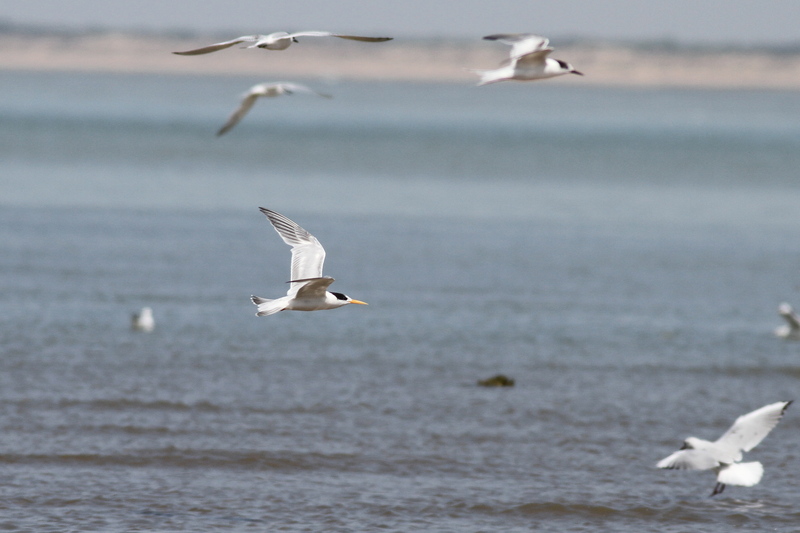 The same guy then casually remarks that his first Lesser Grey was in the late eighties, somewhere near Spurn – there is a sudden connection between us. 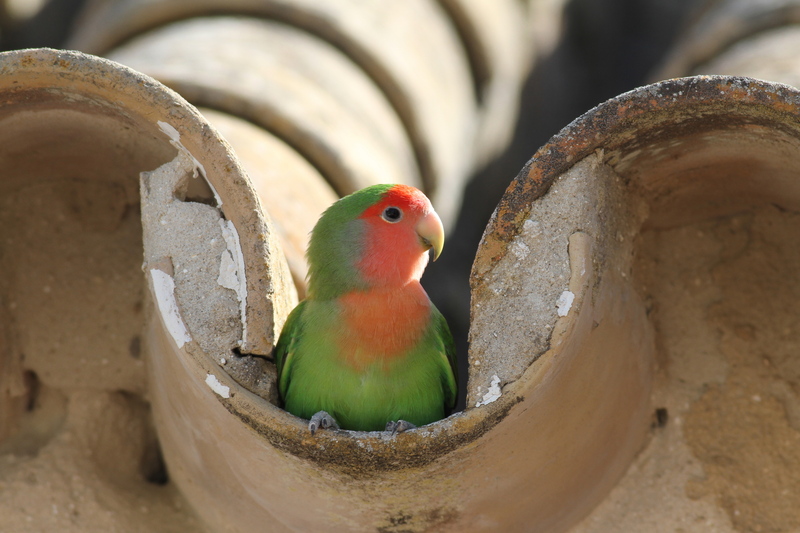 Same bird, same experience… just a quarter of a century separating the two. 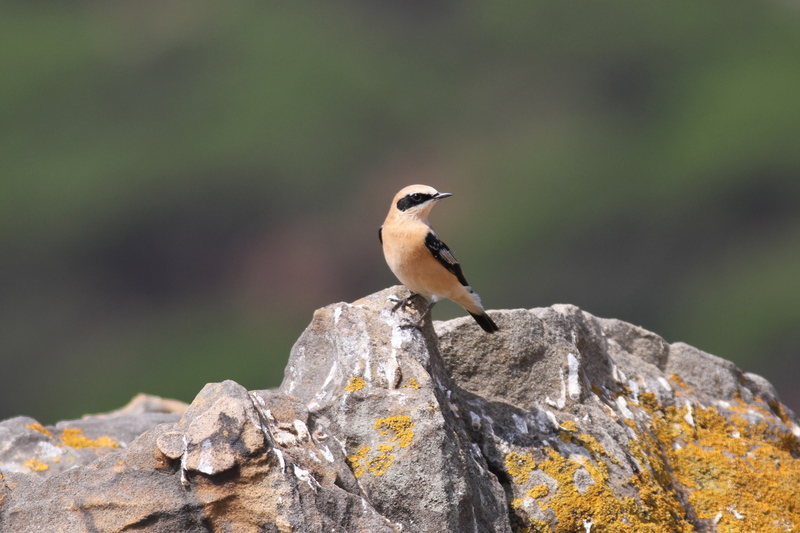 What happened to the two and a half decades that have gone by between these two events – and why do birders measure their lives out in this way – by the birds they’ve seen? 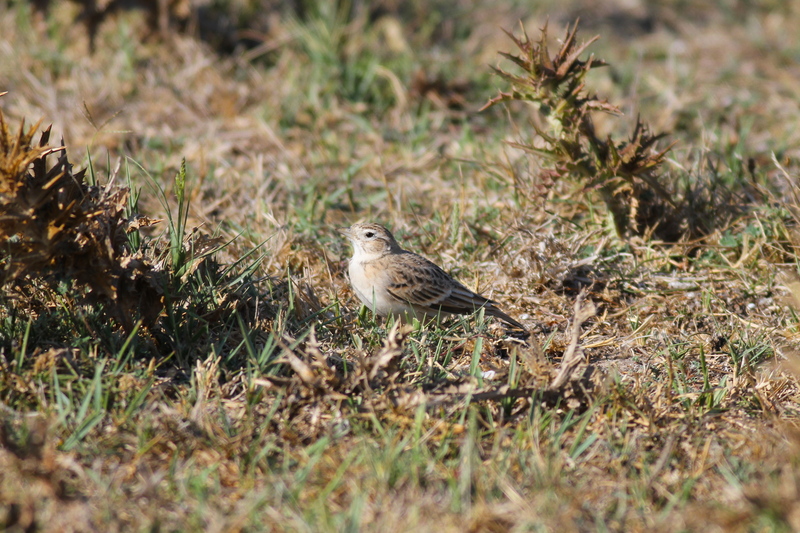 I’ve no idea, but ‘first’ or ‘second’, it was a lovely bird to see….. and more than just a bird! Post Script: As I write this post, three large skeins of Pink-footed Geese have flown over – watch out, winter’s coming! Jane and I were married at the end of September, nearly 36 years ago. We were students at the time so I borrowed my Dad’s car and we stay for a few nights in a B&B in Northumberland for our honeymoon. 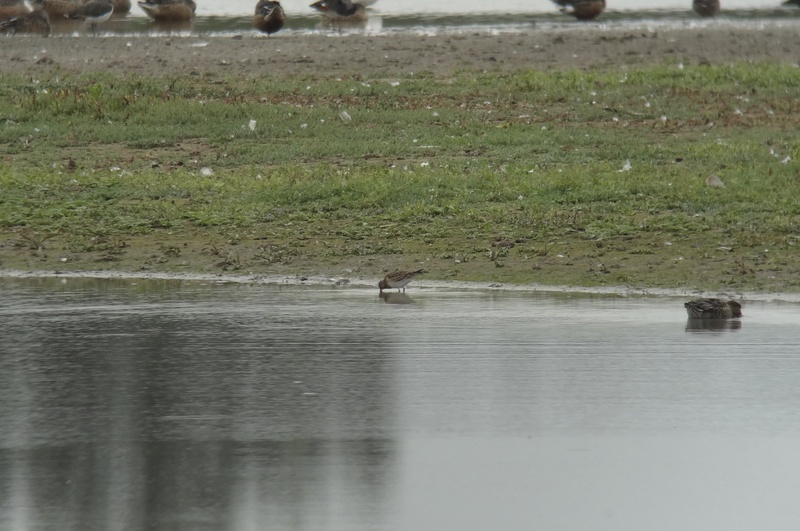 On our first proper day together we went to visit Lindisfarne and passing Newton Pools, a shallow rain-filled depression in a field, (not sure if they are even there anymore ) we came across a first winter Wilson’s Phalarope! Now Jane wasn’t much of a birder at the time but even she could appreciate the simple, elegant beauty of this transatlantic vagrant. Fast forward to this morning. 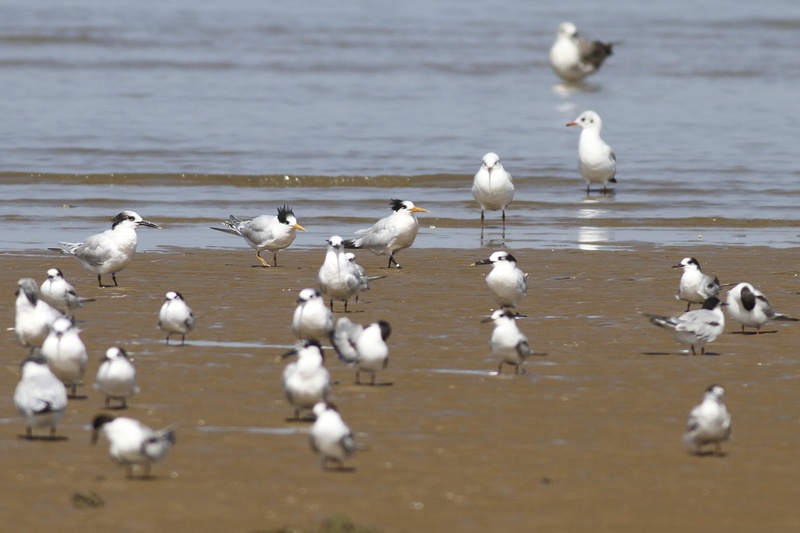 Monday is my ‘duty day’ at Cley NWT. I’d checked the wader scrapes from the hides – no sign of the reported Pectoral Sandpiper from earlier and nothing much of note either. I took a brisk stroll down East Bank, the wind was strong from the west and keeping everything down. 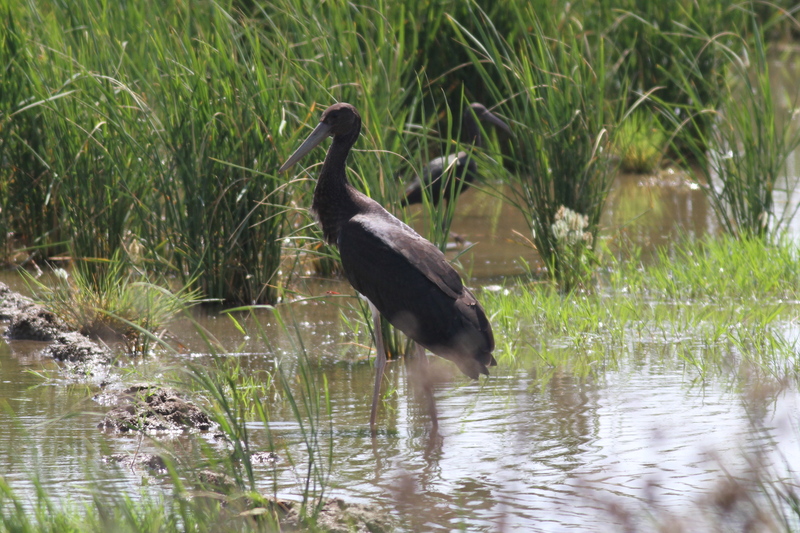 On approaching Arnold’s Marsh there was a small group of bird watchers looking closely at something. 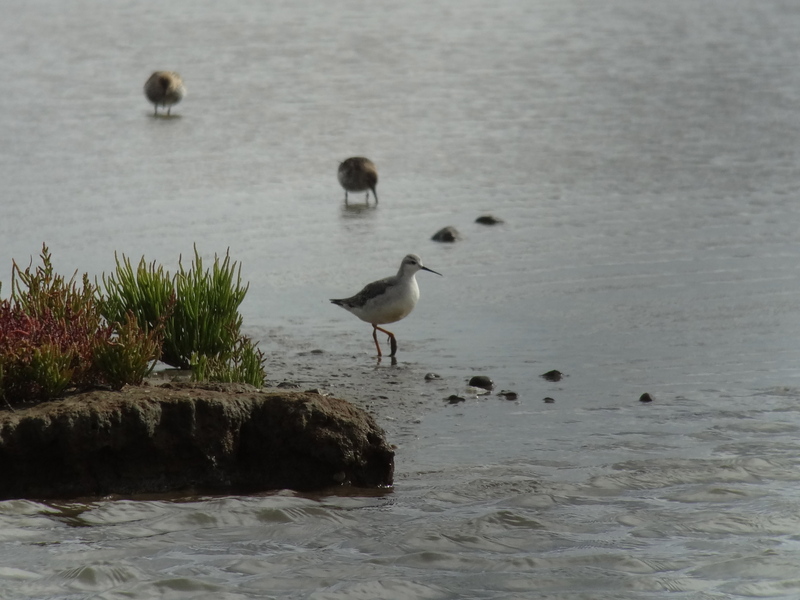 ‘Something of interest?’ I asked – ‘there’s an odd looking bird in the vegetation by the edge of the water’ came the reply. A quick look with my bins and I could tell this was something interesting! 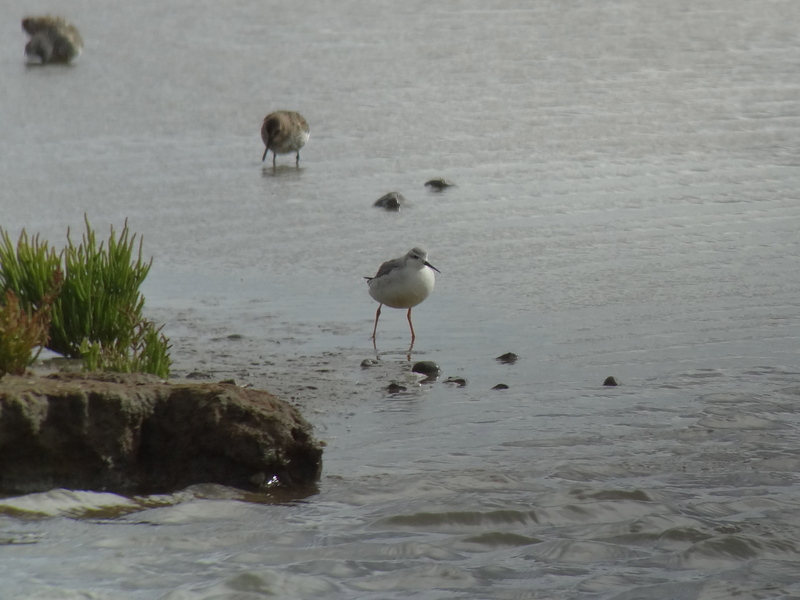 I dismissed the suggestion that it could be a Marsh Sandpiper and focused on the Phalarope family – silvery grey upper parts with brown scalloping at the rear, long black needle-like bill, dark eye mask, a whitish supercilium and… bright yellow legs! Hold on – that’s Wilson’s – oh heck, I thought!! I concentrated for the next few seconds on getting some digiscope grab shots before the bird rather inconveniently flew off west along the shingle ridge, showing a neat square white rump as it did so. I raced down to North hide whilst trying to contact Cley NWT Centre on the radio – no luck and no mobile phone signal either! 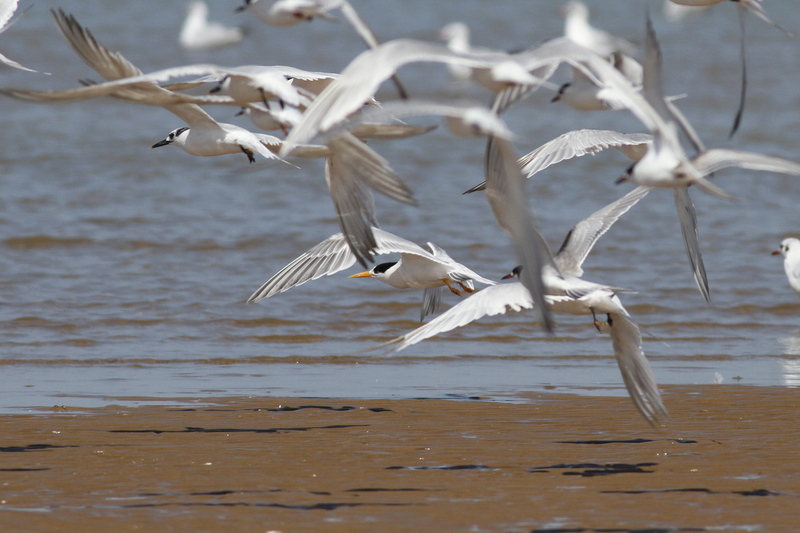 On entering the hide I asked, breathlessly, if anyone had seen any interesting waders – ‘no’ came the reply. A brief scan around with the scope and I relocated the bird at the far end of the scrape. It eventually came closer for a brief while before heading off again, over the Eye field, towards Blakeney. I managed to get a weak mobile signal by the beach car park and put in a call to Mark Golley, who luckily was at home in Cley. 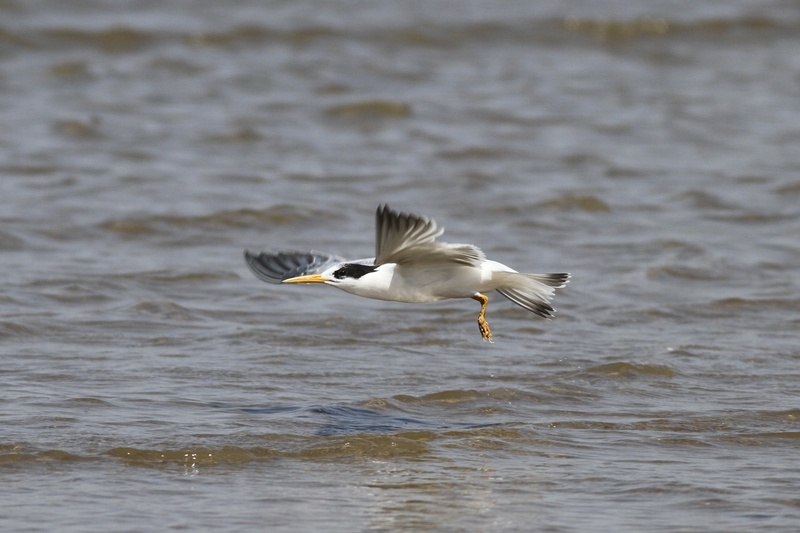 Using his considerable local knowledge he went off to Bishop’s hide and relocated the bird some time later. The bird stayed on Pat’s for most of the afternoon. I’ve seen a couple of spring birds in the intervening years but this is the only ‘first winter’ I’ve seen since our honeymoon special! 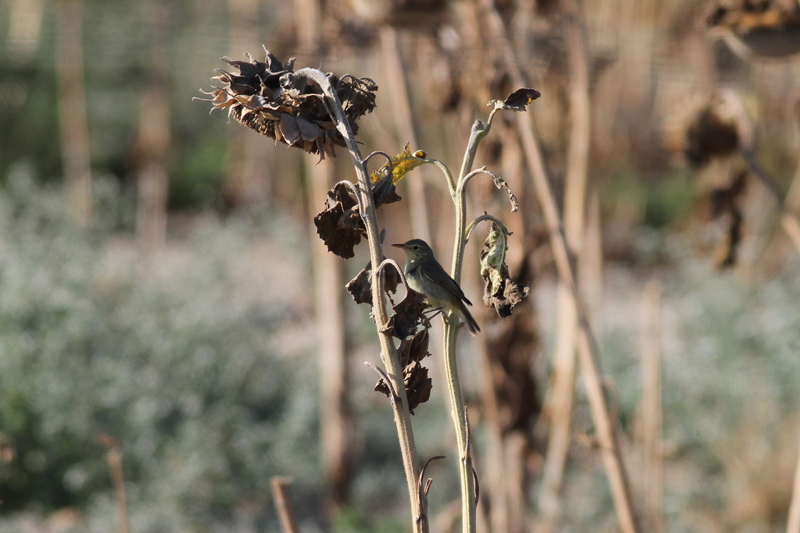 Photographed at La Reyerta, mid day 11th Sept., adult and 1st winter. 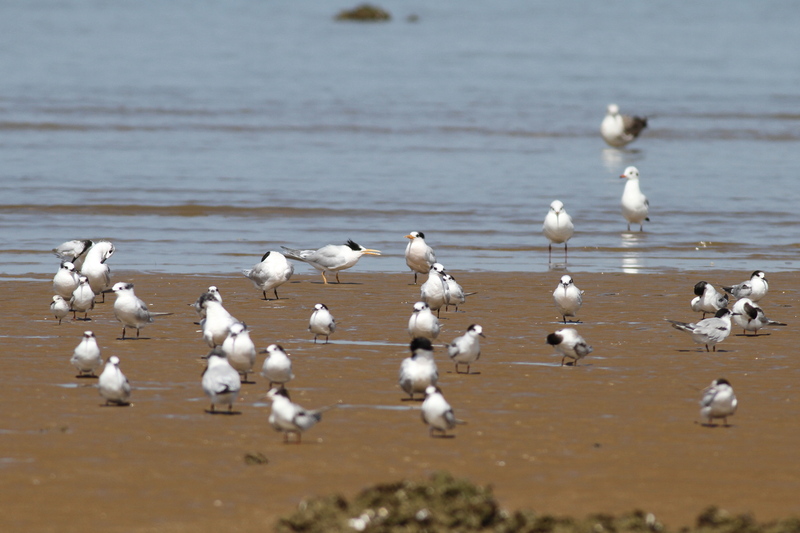 Having spent most of the day blogging our recent Spanish birding break, including details of the yet to be conclusively identified ‘orange billed’ terns, we finally managed to get out birding at tea-time. 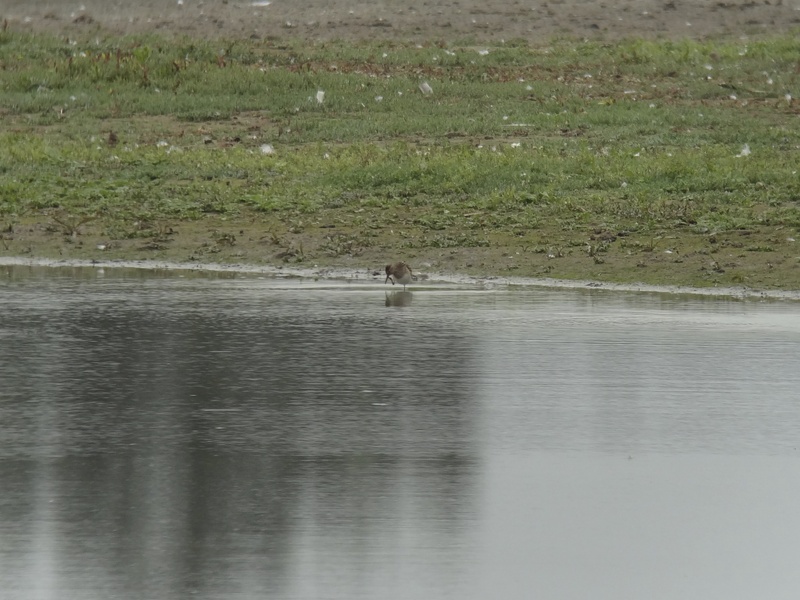 We arrived at Titchwell in rather poor light and quickly ascertained the rough location of the two remaining Pectoral Sandpipers. A walk down to Parrinder Hide and there they were, some distance away on a grassy island. 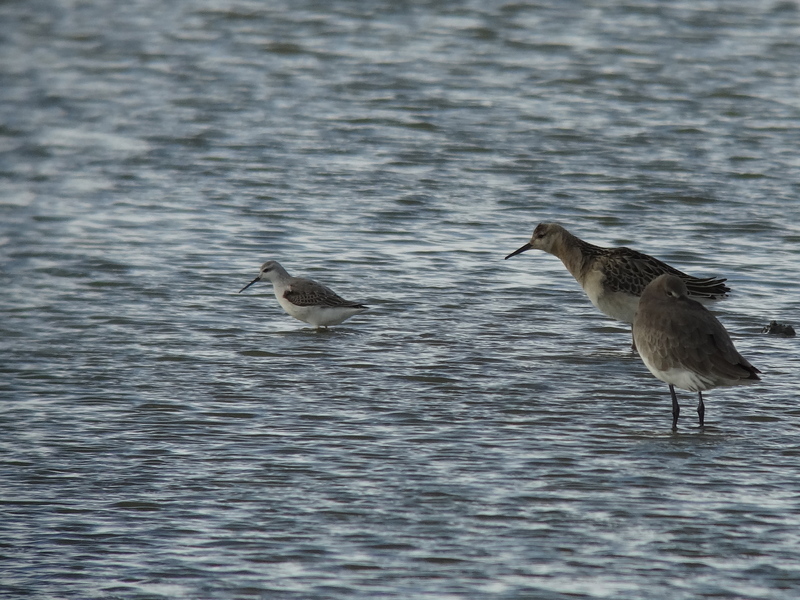 Always nice to see this most numerous of American waders in Britain, better still to see two. Having had our fill of the Pecs we decided to continue down to the beach before it got too dark. 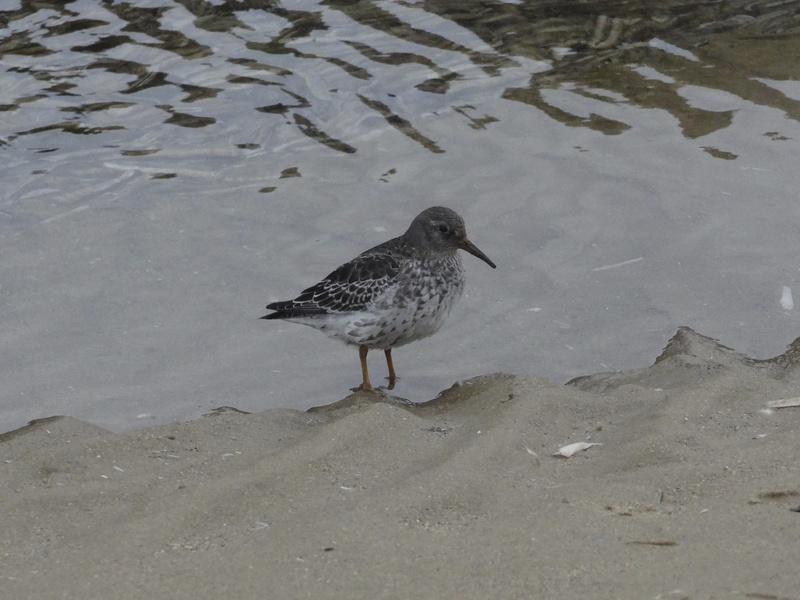 There was nothing much on the sea of interest, just a couple of Great Crested Grebes and a juvenile Arctic Skua, then a delightful Purple Sandpiper flew straight towards us in ‘the bunker’ and pretty much landed at our feet! 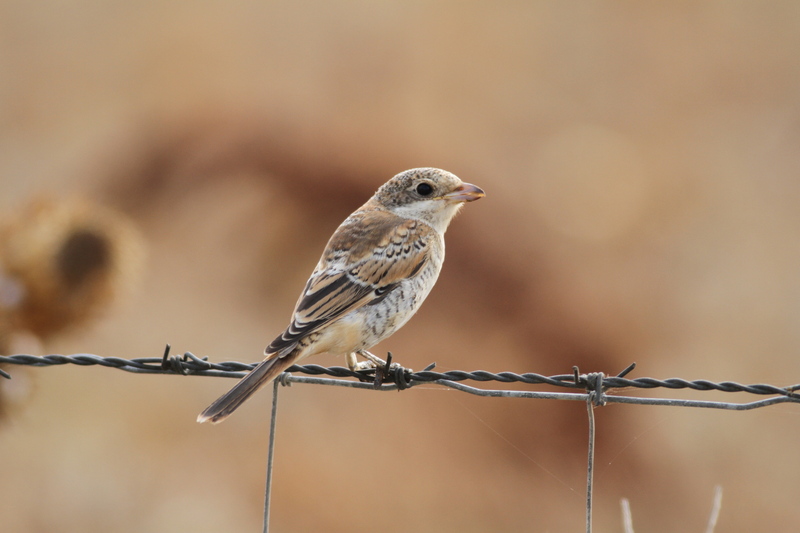 We’ve just returned from a short birding break to the Cadiz region of Spain, including the area around Cape Trafalgar – scene of a previous great victory, by a former Norfolk resident! We flew with Ryanair from Stansted to Jerez, got the hire car from the very reasonable and efficient Gold Cars and stayed for five nights at the excellent Las Magaritas hostel in Terifa. 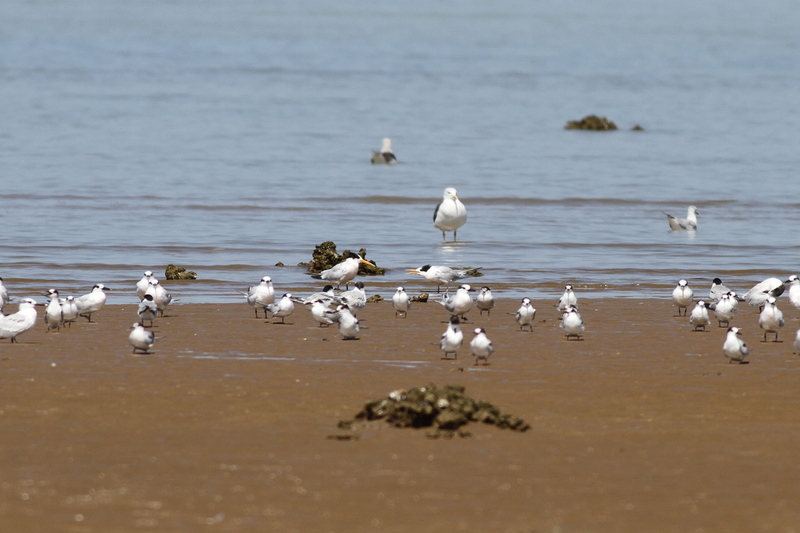 Our trip was timed primarily for raptor migration – actually the weather this year wasn’t particularly conducive to large raptor movement, but we did catch up with most of the local specialities as well as visiting a couple of new birding sites. 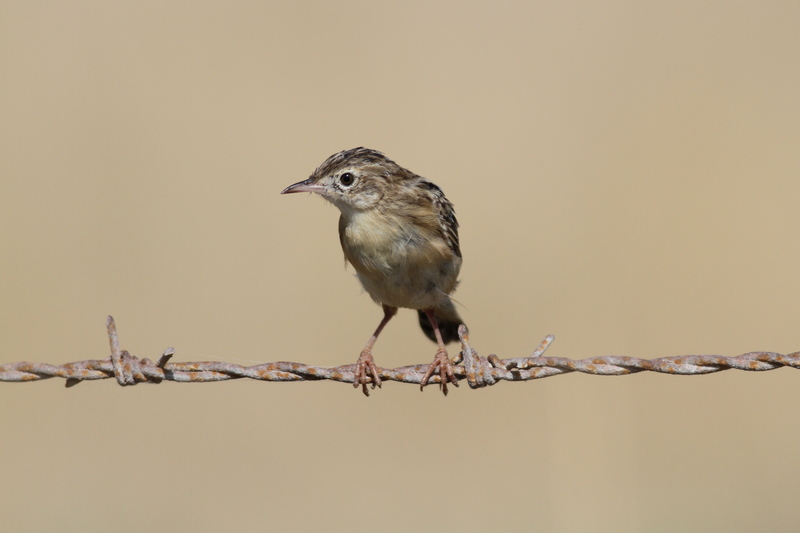 We bumped into John Cantelo, local British birder and blogger, at La Janda who kindly provided up to date information on what was around – well worth visiting his website if you are planning a trip to the region. 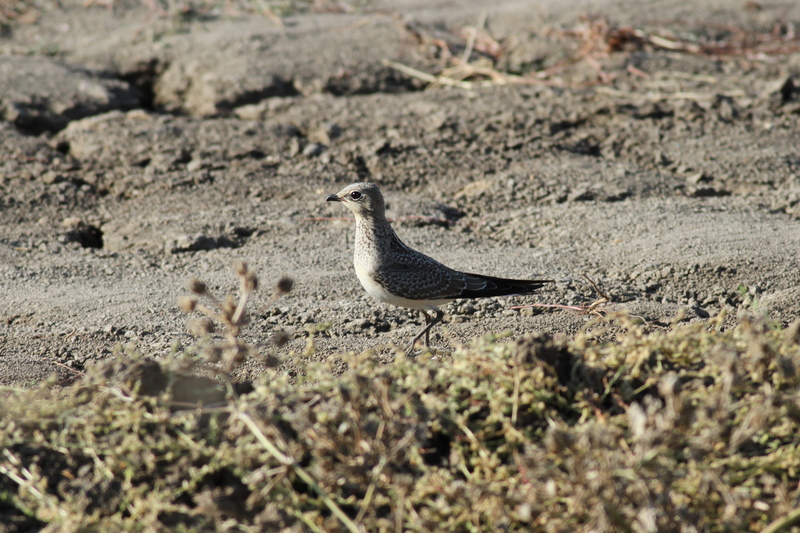 Highlights from a bird list of over 160 included, Rufous Bush Robin, Black Stork, Calandra Lark, Black-winged Kite, Olivaceous Warbler, Red-necked Nightjar, White-headed Duck, Collared Pratincole…oh and that Tern – read on for details! 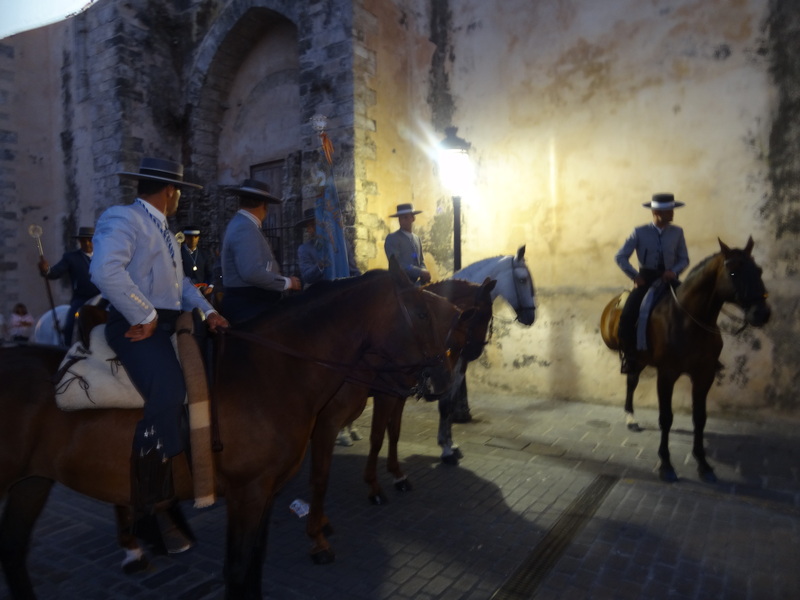 We were also lucky enough to be in Tarifa for Feria and the fascinating procession of the Vergen de la Luz. 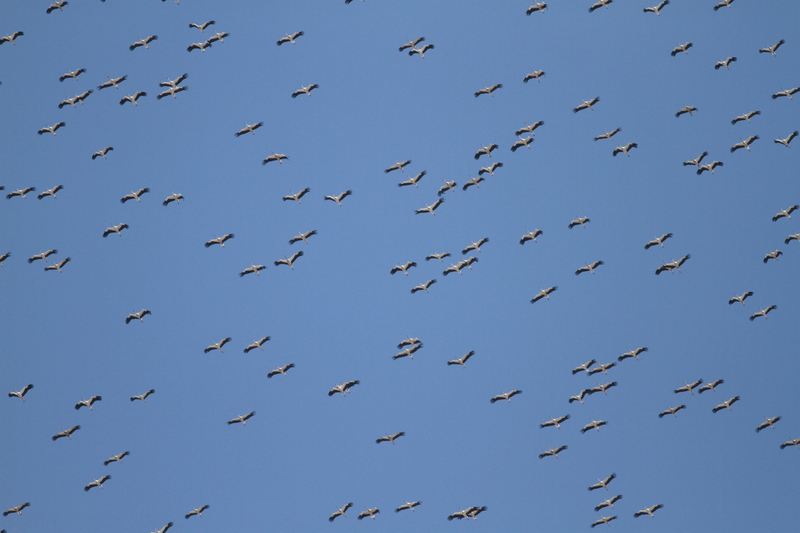 First up, although the weather wasn’t conducive to large raptor movement, there was plenty of ‘visible migration’ going on – the main species involved being Honey Buzzard, Booted Eagle and Black Kite with smaller numbers of Montagu’s Harrier, Short-toed Eagle, Sparrowhawk, Egyptian Vulture and Red Kite. This adult Short-toed Eagle came closer than most. 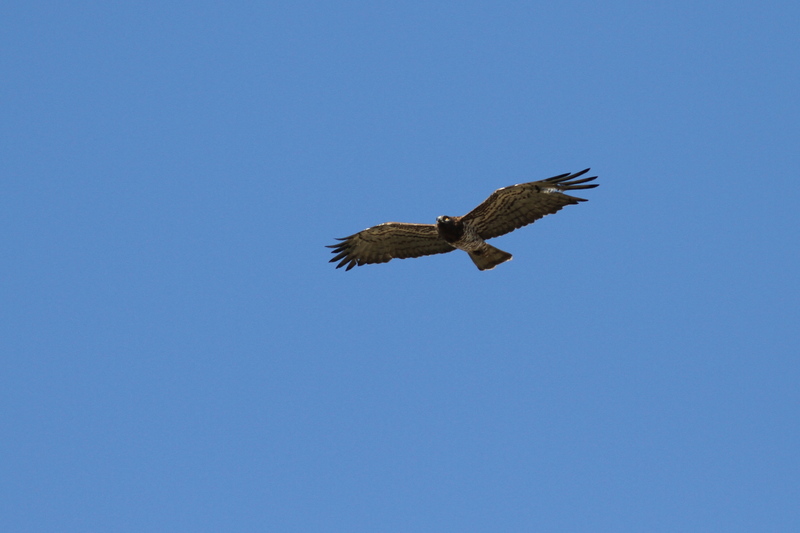 For more raptor photos see my Terrific Tarifa post, April 2012. 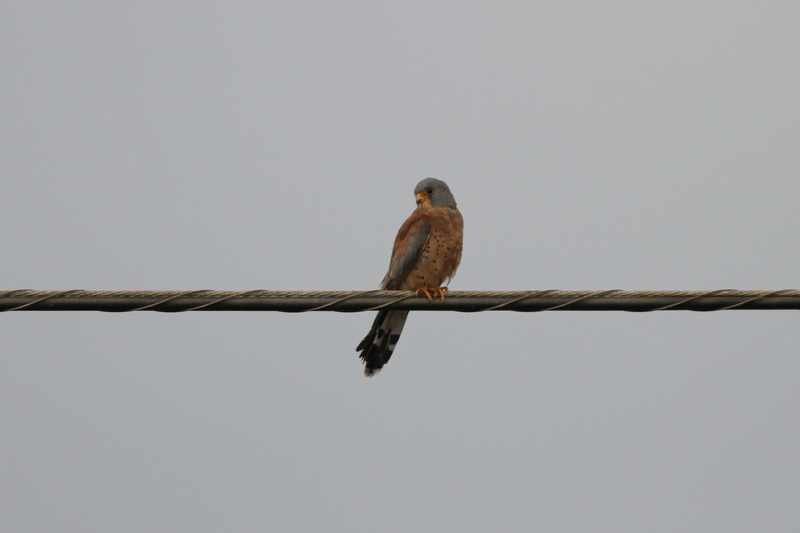 A male Lesser Kestrel on the road to Sanctuario de la Luz – look closely and you can just see the definitive id feature of white ‘toe-nails’! 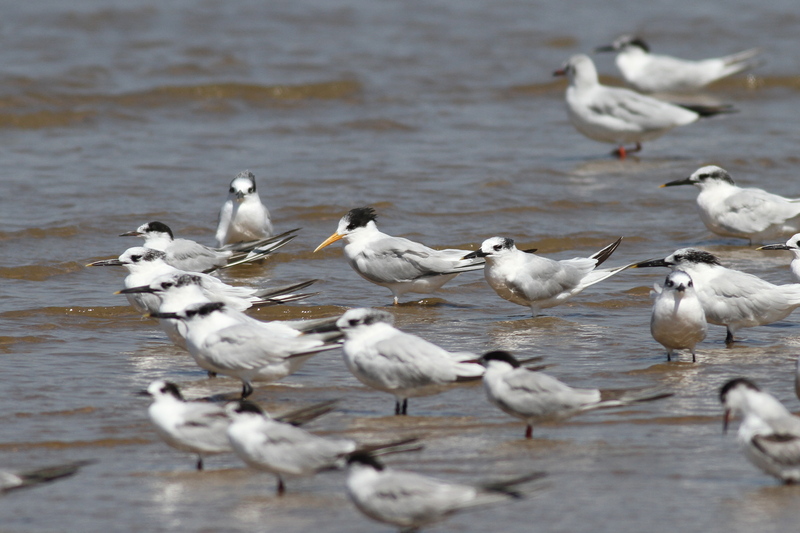 Finally, that tern or terns I was telling you about. 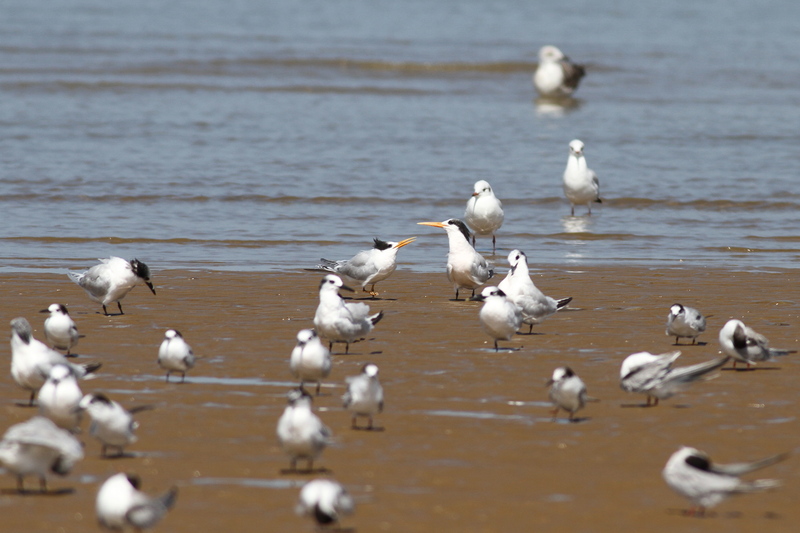 Having visited the beach at Tarifa more times than I care to remember, including at least six times on this trip, looking for Lesser Crested Tern, a speculative visit to the beach at La Reyerta, around lunchtime on 11th, finally turned up trumps…. well sort of!! 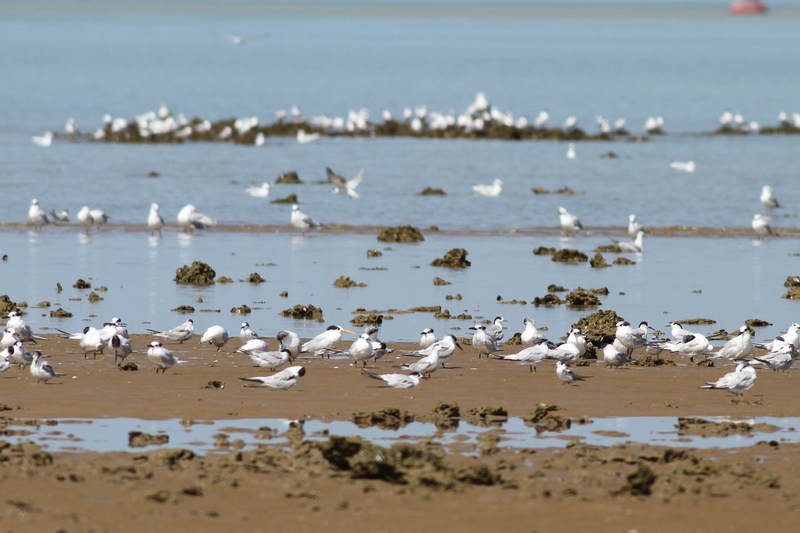 Two ‘orange billed’ terns, an adult and a first winter bird (yellow legs) where ‘loafing’, along with a few hundred mixed terns and gulls, at the mouth the Guadalquivir. 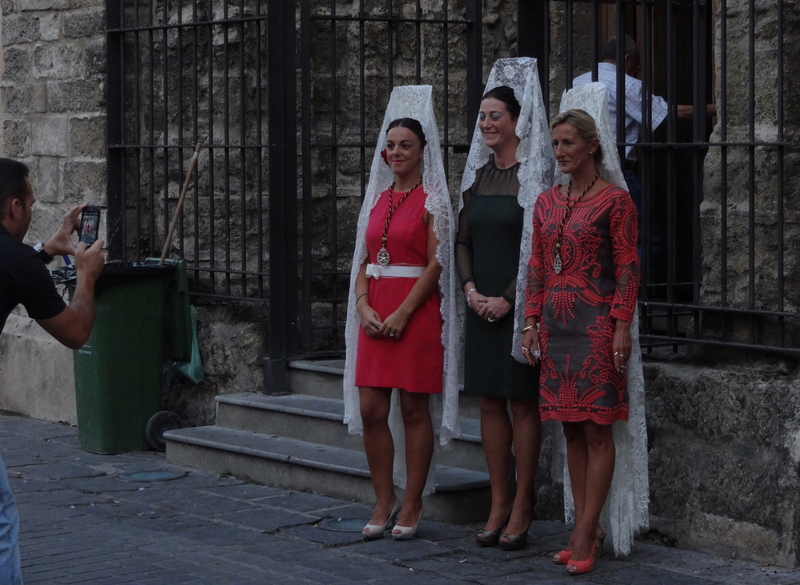 Good candidates for Lesser’s perhaps…. 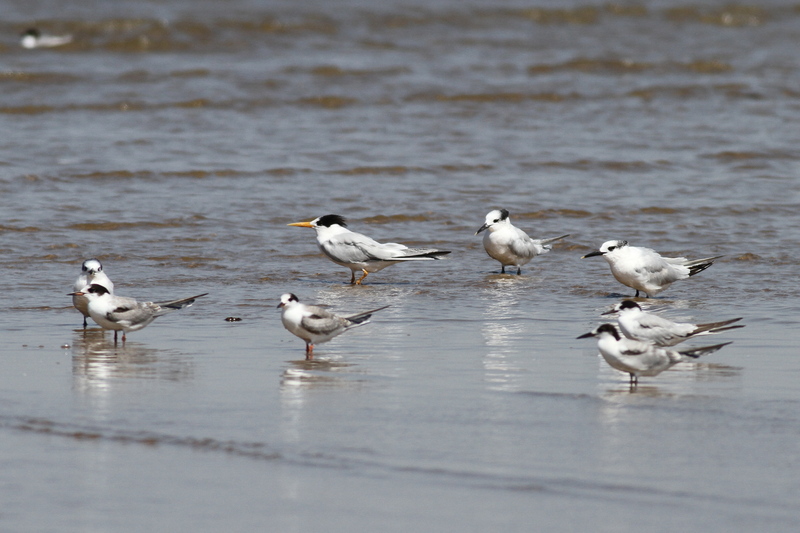 but as Elegant Tern, which are pretty similar, have bred recently in Spain, they can’t be ruled out. 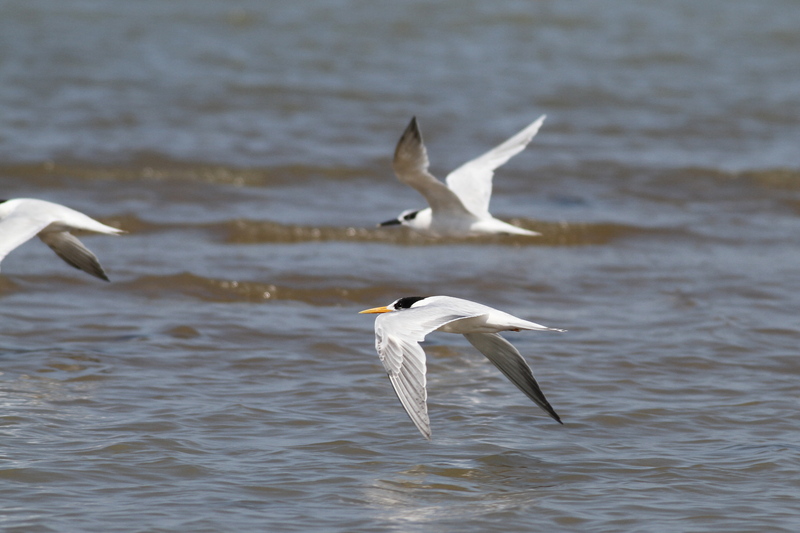 For additional photos, see ‘La Reyerta orange billed tern gallery’ on this blog. 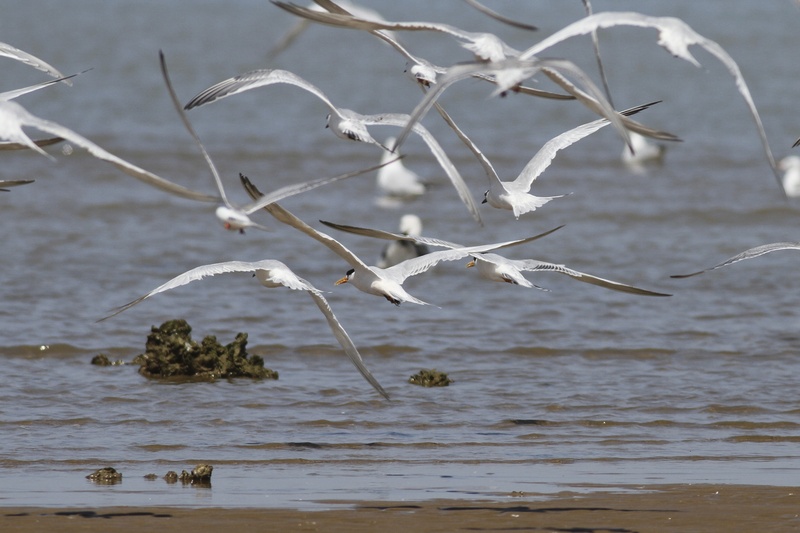 Authoritative sources in Spain now say that these birds are the male and youngster of a pair which bred in Albufera de Valencia, this year and which have been roaming the Cadiz area for a number of weeks. 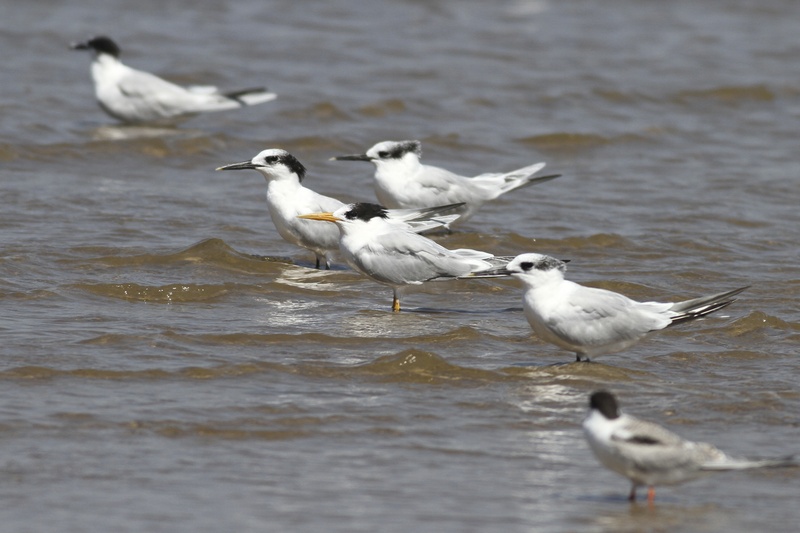 The male was first ringed in Marismas del Odiel, Huelva (SW Spain) on 8 October 2002 as a Lesser Crested Tern, but when it was re-trapped in 2006, it’s identity was questioned, DNA was taken and the identity awaits confirmation – though is leaning towards Elegant. 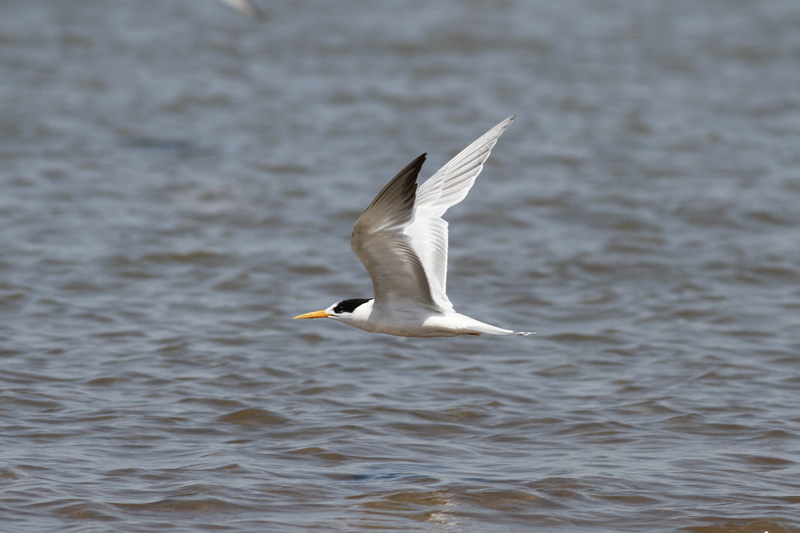 The mother was an Elegant Tern and therefore the youngster is considered by most to be genetically pure enough to ‘tick’ as Elegant…which indeed I intend to do! 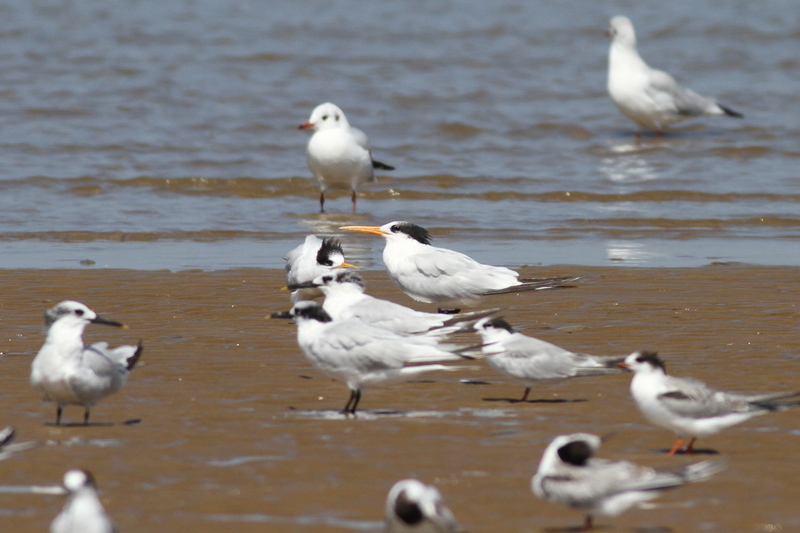 This ‘orange billed’ tern id quest has been a bit of a mind-bender…I hope it’s a while before I see another one! 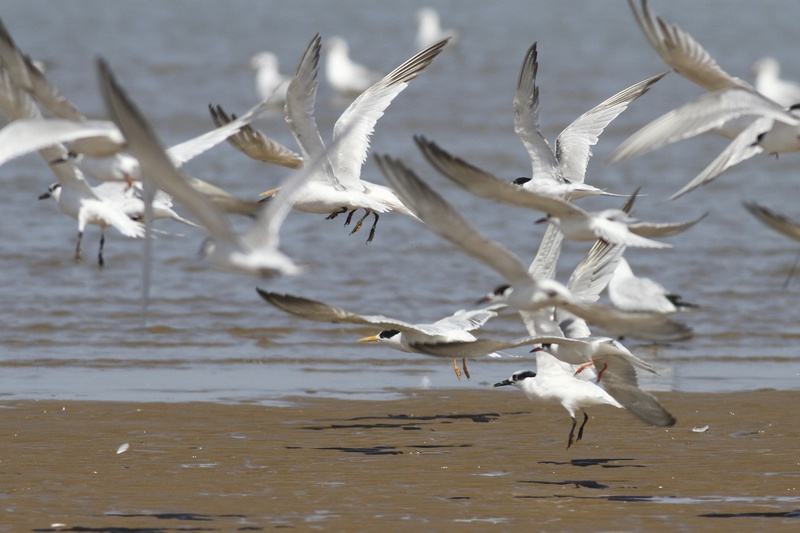 Fantastic birds – a real and unexpected triumph! 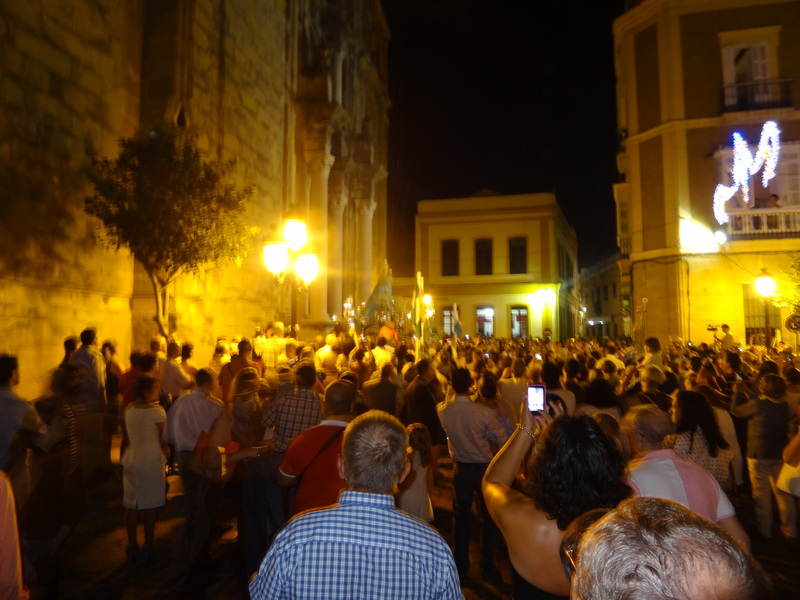 Post Script: The Tarifa Feria or fair, combined with the procession of the Vergen de la Luz was a real added bonus.